Call center quality monitoring is a crucial aspect of running a successful customer contact center. To ensure that your customers receive the best possible service, it is necessary to be able to measure and benchmark performance in certain critical areas. With an inbound or outbound call center, this is usually achieved through the implementation of a call center monitoring software solution. This can help management gather data and make more accurate measurements and decisions. • Customer satisfaction: quite simply, how happy the customer is with the quality of the service that he or she receives from the call center. Work with your management team or quality monitoring software provider to determine the metrics that are best for your needs. There are many different ways that these metrics can be measured. However, call monitoring software makes it easy. Since the implementation of the software program is universal across the call center, it eliminates subjectivity that might arise in other methods of quality control. Call center monitoring software can also make the gathering, distilling, and analysis of data easier and more automated. This puts more accurate information into the hands of management- and gets it to them faster. If you are ready to take the quality performance of your contact center to the next level, look into implementing a sophisticated call monitoring software solution. Consider contacting the expert team at Evaluate Quality in the Phoenix/Scottsdale AZ area for any of your needs in this area. Evaluate Quality, founded by Sage Advantage, can help your company enhance quality monitoring by introducing an effective monitoring system that helps measure and track all of your important quality metrics. Whether your business is located in Scottsdale, Phoenix AZ, or elsewhere in the United States, Evaluate Quality can be your partner for all of your call monitoring software needs. They are experienced in both identifying and designing solutions that are tailored for their clients. 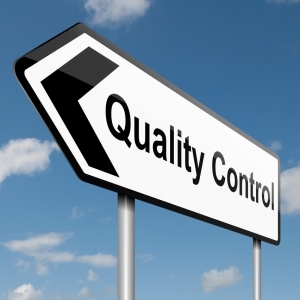 Contact Evaluate Quality today to schedule your no obligation demonstration.